I had just loaded up my Canon Elan IIE with Kodak Technical Pan (Exp. 1992) and set off driving down gravel grid roads in rural Saskatchewan. 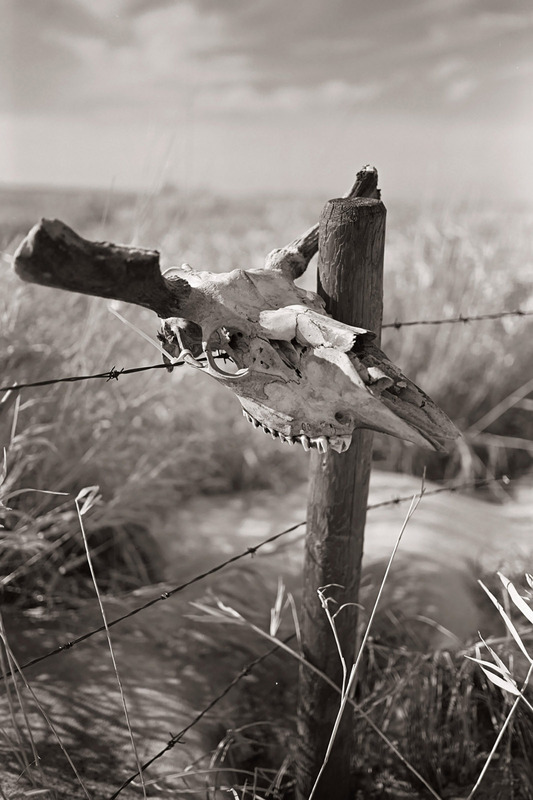 Driving a familiar road, I was caught off guard when I saw a skull fixed to the fence post. Naturally, I got quite excited since these were the fine details I was looking to capture with such a fine grained film. I shot with the Sigma 35mm 1.4 ART and rated the roll at EI 20. I developed in Rollei RLC at 1+4 for 6 minutes to keep the contrast within acceptable range. I scanned with the Pakon F135+, which tends to have a warm tone by default and I think works well in Skully’s favor.